Samuel was born in Montgomery County, Pennsylvania, the son of James Miles and Hannah Pugh. At age sixteen, Samuel Miles joined a militia company and engaged in the defense of Northampton in the French and Indian War. When hostilities ended three years later, Miles married Catharine, the daughter of John Wistar, and entered into commerce. When the American Revolution began, Miles quickly re-entered active service. In August of 1776, Miles was taken prisoner by the British on Long Island while serving as a colonel of the Pennsylvania Rifle Regiment. He rose to the rank of brigadier general of the Pennsylvania State Troops by the end of the American Revolution. Miles, a zealous Baptist, was also active in the political arena. In 1783 he was appointed a judge of the Appeals Court. He served as member of the colonial and state legislatures, as an alderman and, in 1790, as mayor of Philadelphia. Samuel Miles was elected a trustee of the University of the State of Pennsylvania in 1786 and of the College in 1789. 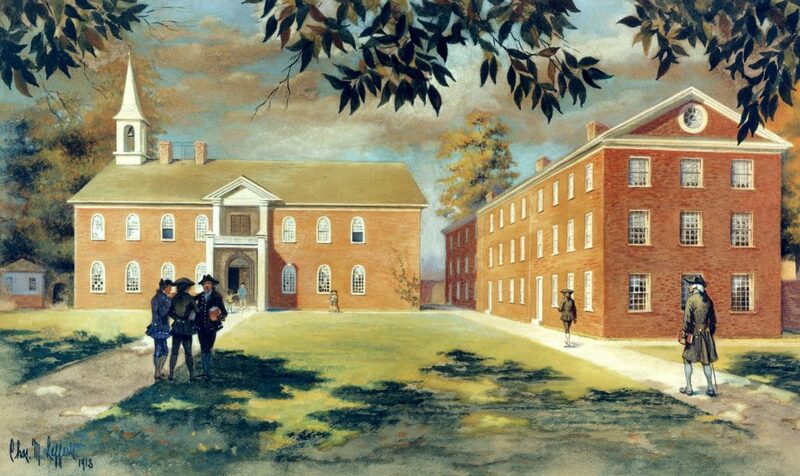 At the 1791 union of that body with the College of Philadelphia to form the University of Pennsylvania, Miles was elected by the College to continue as a trustee of the University of Pennsylvania. He resigned in 1793. His son Samuel Miles attended the College of the University of Pennsylvania with the Class of 1791 and his daughter Hannah married trustee Joseph Borden McKean.